Includes insets: Residence of Prof. Edward Hitchcock, Residence of L.S. Sweetser, esq. ; Residence of Hon. Edward Dickinson; Residence of Prof. W.S. Clark; Mount Pleasant Institute; Amherst College. Original lithograph in the Emily Dickinson Exhibit, Jones Library Special Collections. Bachelder, John B. 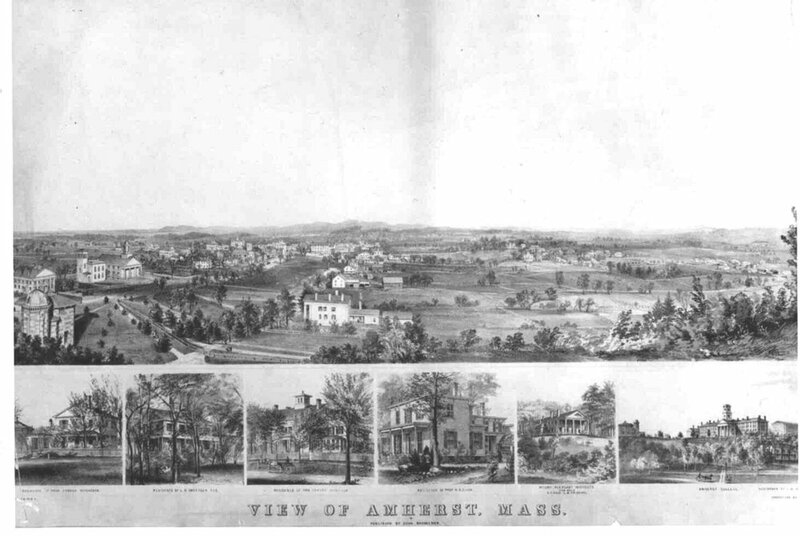 (John Badger), 1825-1894, “Lithograph of Amherst, 1857,” Digital Amherst, accessed April 22, 2019, http://digitalamherst.org/items/show/900.